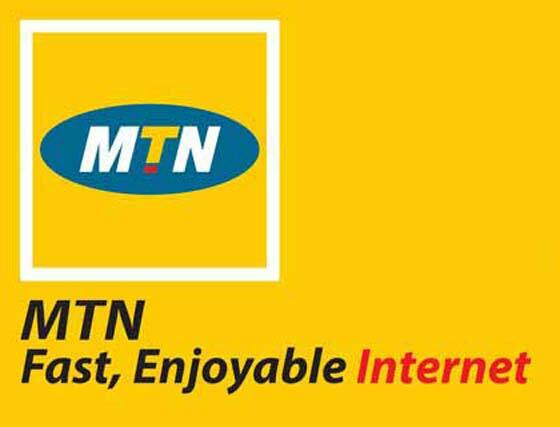 MTN just unveiled two new data packages that is bit cheaper than the previous data plans. 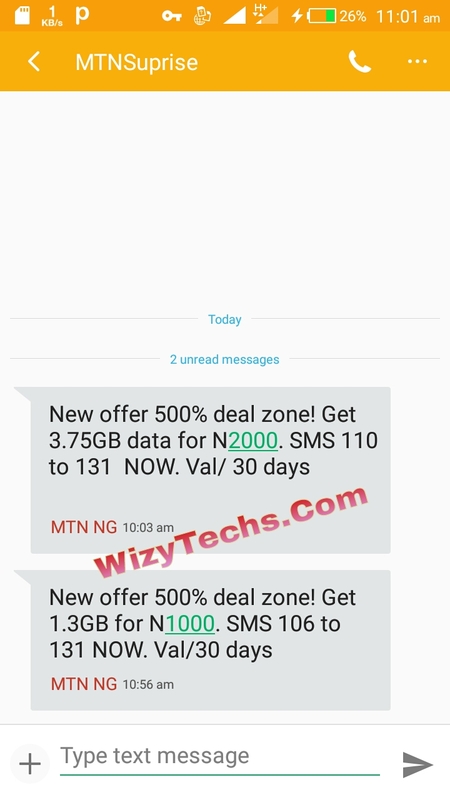 You might have received the SMS notification for this data plan on your phone so this post is to let others who are not aware to be familiar with it now. Nigerians has been furious about high cost of data subscription in the country but the network providers are responding positively but in a snail speed. We still need cheaper data plans that will serve even the average man out there. 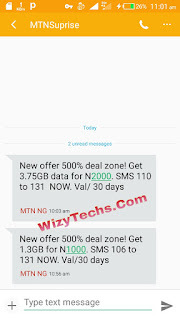 How Do I Subscribe To MTN 1.3GB For N1000 Data Plan? ==> Open your SMS and send 106 to 131. That's all. Note that these plans can be used on all devices and doesn't require additional configurations. 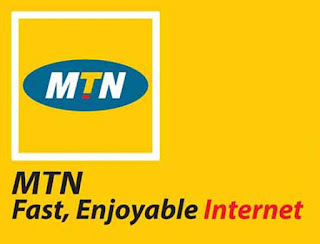 Is it too expensive or better than previous MTN data plans? Mtn data sale is rubbish and costly... When i can have 3gb for 1000 Naira on Airtel... Mtn Ole!